An olla is, traditionally, a large, unglazed terracotta pot, which you bury in the soil near your plants. After filling the olla with water, it will slowly seep out of the terracotta and into the surrounding soil, keeping your plants evenly moist. While traditional ollas are still being made, there are two simple, dirt-cheap ways to make your own ollas. 1. Use a plastic jug or bottle. Simply poke or drill a series of holes along the sides and bottom of a milk jug or juice bottle. Bury it in the soil near your plants, and fill as needed. Keep the lid handy to prevent a bunch of debris from falling into the jug. 2. Use a terracotta flower pot. You can use any size pot you like for this, so it can work for both container gardens or traditional garden beds. 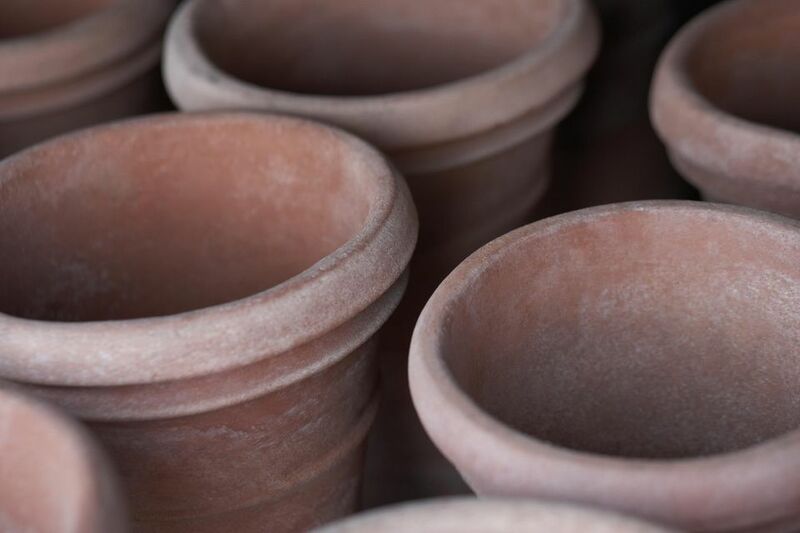 Simply select an unglazed terracotta pot, place some clay into the drainage hole in the bottom to plug it, and bury the pot wherever you need it in the garden. Fill with water, and let the olla do the watering for you. If you'd like to keep debris out of the pot, simply find a saucer of the same size as the top of the pot, and set it on top of the pot in the garden. An olla helps you keep your plants watered and healthy, and can provide a bit of insurance if you're going to be away for a day or two and won't be able to water. Simple, cheap irrigation that works!